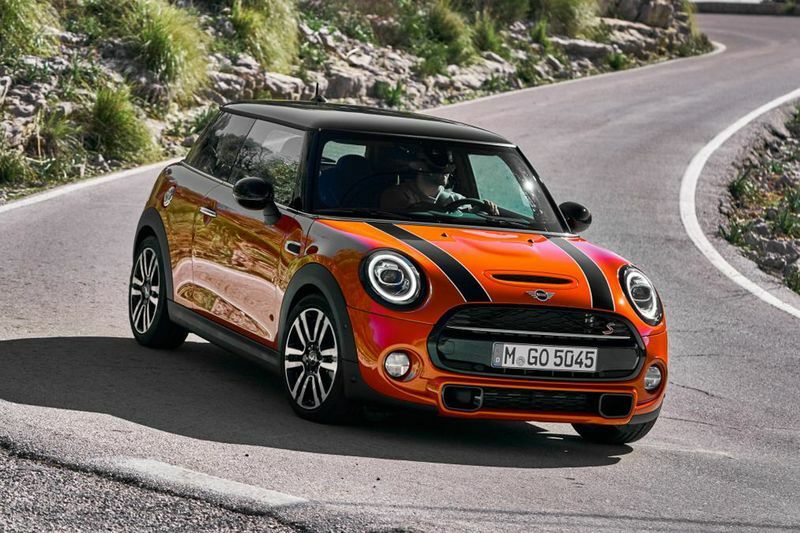 The MINI has always been a desirable small hatch. As a result, the importance of this update could be lost on some, but the new tech upgrades add a welcome dose of modernity. With a fresh Audi A1 just around the corner the MINI will have its work cut out, but for now, it’s safe. Reinventing the original 1950s Mini will go down as one of the most difficult jobs in automotive history. And with three generations of the ‘new’ MINI already under BMW’s belt, it’ll go down as one of the most successful, too. Recreating cars from the past is always a gamble, for example, the Beetle has reached its end, whereby the new fiat 500 seems to be doing incredibly well, but nevertheless, Mini's have gained a reputation like no other, but in doing so, it has a lot of "newly designed" competitors like the above-mentioned Audi A1. But no matter how progressive each new MINI is, it’s really just like any other car; after time, it gets old. The current pace of development in the car world means that even a retro classic such as this can start to feel dated very quickly. So for 2018, the MINI has had a spruce up. There are some new bits and pieces on the outside, extra gadgets, and some trinket jewellery in the shape of new colours and wheels. It’s enough to make it feel modern, without rocking the boat with brand aficionados. The updates are fitted to the hatchbacks, as well as the Convertible. Up front, it’s barely any different, but you’ll spot the new winged MINI logo and lights. All UK cars get full-LED headlamps with single-ring LED daytime running lights that also double as indicators. For the first time on a MINI, the headlights can be upgraded to Matrix LEDs, allowing full beam functionality without dazzling oncoming drivers. Meanwhile, if the outgoing MINI was a little too bling for you, there’s a new black exterior pack, which replaces the chrome-edged grille, headlights and rear lights with gloss black trim. There are three new wheel designs, while Emerald Grey, Starlight Blue and Solaris Orange join the paint palette. However, all of these tweaks pale into insignificance compared to what MINI has done at the back. The rear lights are now all-LED, but they’re of a Union Flag design. So controversial are the new lights that in some markets customers can deselect them in favour of the old car’s design. But over here at least, buyers will have to like them or lump them, because there’s no option to remove them. However, there are ways to make the hatchback more bespoke. The MINI Yours Customised programme now includes the option to have the side scuttle trim personalised in 3D printed plastic in various colours and textures. Owners can ask to have any letter or number combination printed, too. MINI has been less contentious on the inside. All 2018 cars get a 6.5-inch colour touchscreen, which can also be operated via MINI’s version of the BMW iDrive controller. A multifunction steering wheel is also thrown in as standard. Upgrade the infotainment system and a raft of online connected services are added, including a new feature called MINI Find Mate. If you attach a special fob to your bag or keys and lose them, the car will notify you as to where they are via the screen or a phone app. Unsurprisingly, there are new trims and upholsteries on offer; brown ‘Chester Leather’ debuts, as does piano black dash trim with Union Flag ambient lighting. The characterful cabin is well built, but the ergonomic flaws remain; carry rear passengers regularly and you’d be better off looking elsewhere – it’s cramped compared with rivals. The back seats are only suitable for children, especially with tall adults up front. As for the boot, well it is too small. Under the bonnet, there are a few changes. The basic One ditches its 1.2-litre four-cylinder petrol in favour of a detuned version of the Cooper’s three-cylinder 1.5. Emissions figures have gone up by 4-6g/km depending upon model due to the new WLTP tests. One, Cooper, Cooper D and Cooper S models see an optional seven-speed Steptronic double-clutch transmission join the standard six-speed manual gearbox. The SD gets an eight-speed torque converter auto as standard. MINI’s engineers haven’t touched the chassis, but that’s no bad thing. It has always sat at the top of the class for driving fun, and that still rings true. The Cooper S offers an excellent blend of comfort and performance, but the Cooper remains our pick of the range thanks to its punchy powertrain and fun handling characteristics. No wonder the MINI cup races are so popular locally. Despite a cheap-feeling gear knob, the six-speed manual is a treat, and in Sports mode, the MINI even blips the throttle for smoother down changes. The new seven-speed dual-clutch is a great improvement on the old box, too, as it matches the engine’s character well. There are few small hatchbacks that can corner as well as a MINI, and even fewer give as much feedback. Attack a series of tight, twisting bends and the feel through the steering wheel is excellent; enhanced by a chassis that’s as crisp as they come. The MINI still beats a Ford Fiesta, while the outgoing Audi A1 is more sensible than fun. Video: Nico Rosberg Is Constantly Fiddling With The Dials And Buttons On His Steering Wheel In His F1 Car! ' Watch Closely To See How Often He Makes Adjustments!